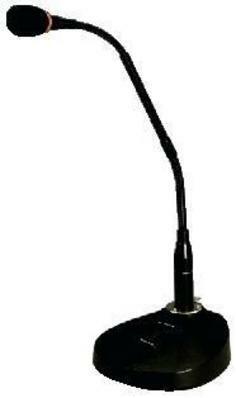 The ECM-500 desk paging microphone has an electret capsule with cardioid characteristics. The microphone is mounted on to a gooseneck which is detachable from the base (XLR). The base houses on/off switch, battery and status LED.